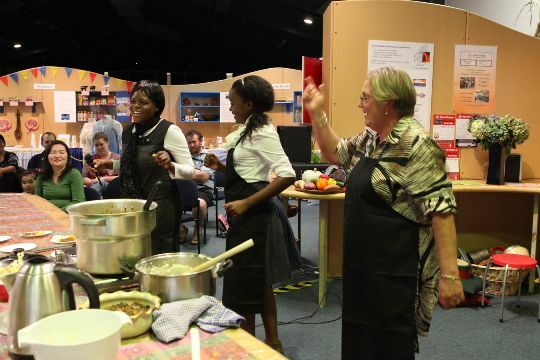 Six communities displayed their culture through cooking and visual displays. It was a very dynamic exhibition and the cooking demonstrations on each Saturday were fantastic with lots of laughs and new and interesting dishes cooked on site. This concept was first introduced in Wellington and now in Palmerston North.